With the popularity of social networks such as Twitter and Facebook, many cam girls leverage them to build a loyal fan base. They have thousands of followers who impatiently waiting for the next update, preferably candid picture or video. And it’s so easy to do such updates these days with the smart phone devices such as iPhone and Android. But many cam models are not aware of the fact that by sharing candid pics and videos taken by smart phones, they give up the geographic location of where those pictures were taken (in many cases the places where they live!). This could lead to the possibility of virtual stalkers to track you down in the real world! It shows me the exact location of where the picture was taken. I can enlarge it and see the satellite view of the building where model lives. So it becomes really easy for stalker to hunt the model down in the reality. You never know! You must be scared to death now, at least those of you who have posted candid pictures of yourself on picture sharing sites in the past. But don’t worry. I’ll show you how to fix that. 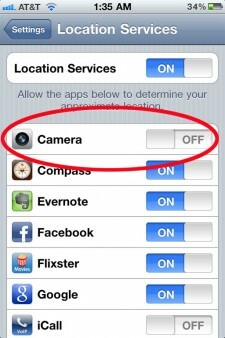 Turn this option off and now you can safely share your candid pictures taken by this iPhone. Your geoloaction won’t be stored with picture file. Also, to be safe, you need to go to each of the sites where you shared pics taken by this iPhone and delete them as soon as possible. Be aware that the same problem can exist when you use other similar devices such as digital cameras and camcorders. 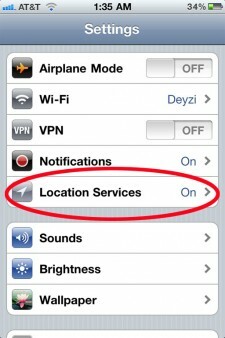 Check the user manuals of the devices you use to make sure that they don’t attach the geolocation information. 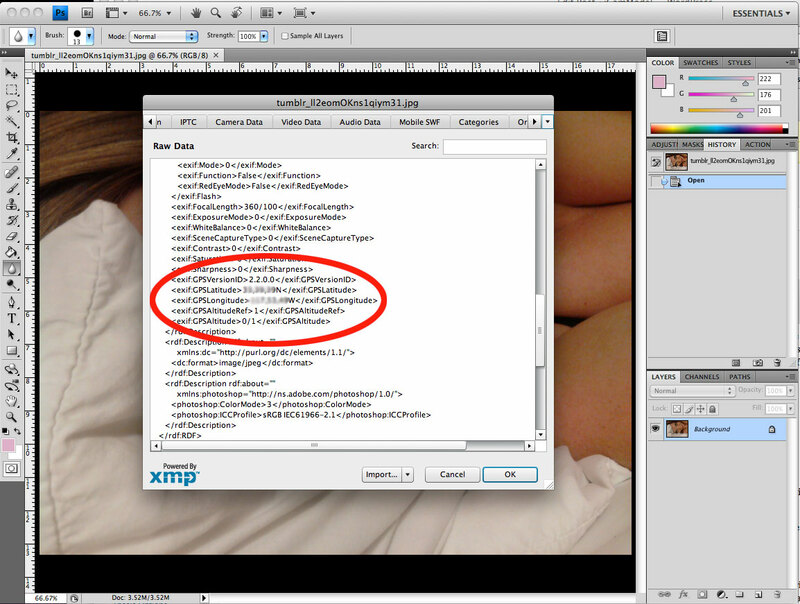 The virtual world of webcam modeling should remain totally isolated from the real world to keep the models safe. So don’t give up your physical location, follow the instructions above and you’ll never get into trouble of meeting virtual stalker in real life. Thanks for publicly posting instructions for stalkers. Thanks for this article! I’ll be letting some of my girls who while not camgirls still post pics that can lead to stalkers. This will help! 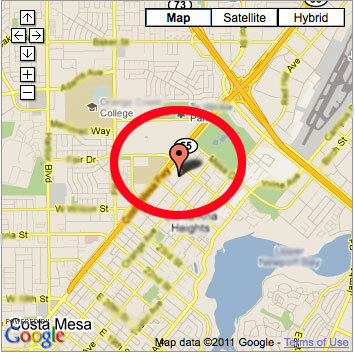 can the same happen( someone being able to find your location threw a picture) if you were to take a pic with an android phone and send it threw an email? omg that is so scary about the lattidue and longitude of where the pic was taken! thanks so much for this information as us independent cam girls need to be very careful of things like this. Important that camgirls know that the stalkers will start out like best friends, because its such a dangerous playground… it doesnt take much to turn one of your regulars into a obsessed nut! and its usually these people that already have a great start on “stalking” you.